...I would like to apologize for the lack of posts. Lately time has been sneaking away from me...and I can’t say I’m too pleased about it. My year of maternity leave is almost up and next month I’ll be heading back to work, I can say with certainty that I’m not looking forward to it. 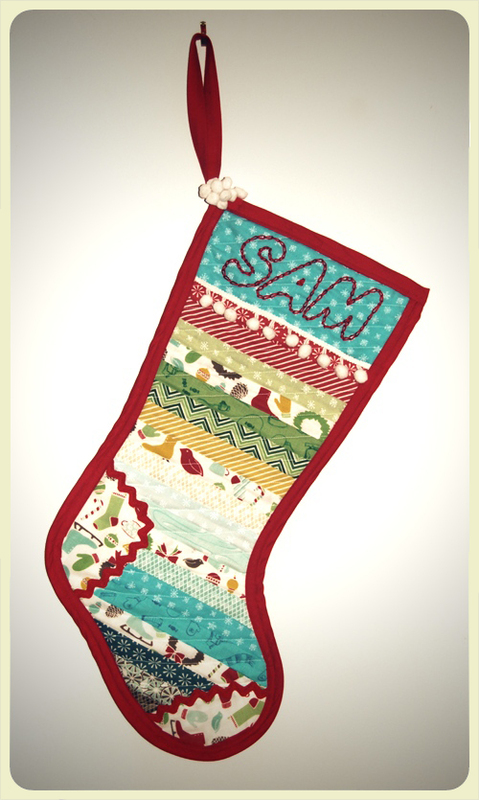 I would love more than anything to stay home with Sam and paint and craft and sew, but that’s not going to pay the bills. So back I go, long enough to build up my maternity leave again and then hopefully after we have number two I can stay home... what? A girl can dream right? I’ve tackled quite a few projects over the last couple months and a wish I had been a little more consistent with my picture taking as well as my blog posting. There are so many things I want to show but I don’t know where to begin. 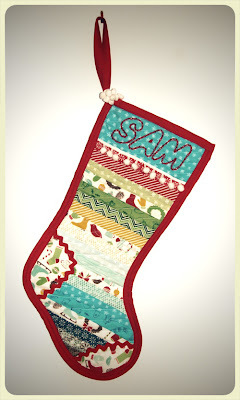 I guess I’ll start with Sam’s stocking. 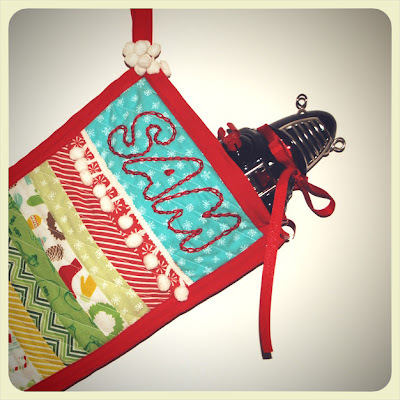 I had hoped to make him a fancy embroidered one with robots decorating a Christmas tree but with all the other gifts I had on the go I decided to keep it simple. 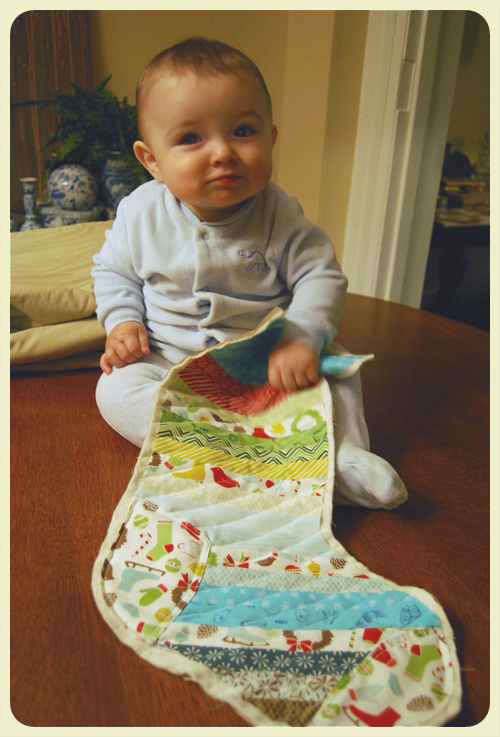 And by simple I mean it only took me three times longer than I had originally anticipated and my first attempt at binding looked like it had been sewn on by a sugared up preschooler with poor spatial awareness. 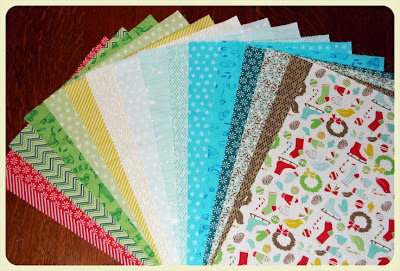 Anyhoo...these are the fabrics that I came across that I thought would make a great quilted stocking for him. Here’s a shot of him with the almost finished stocking. And here’s one of it all done. I had originally planned on doing a patchwork style but when I got the strips all sewn together and was preparing to cut them all down again I kinda liked the way it looked, so decided to keep it. Though I wish a hadn’t used the fabric in the heel and toe as stripes in the stocking...it breaks up the gradient and I think the heel and toe would have more pop if the stripes were gone.